The importance of shake parties in this business is KEY! Every party helps cement the team spirit, strength and fun of this profession. 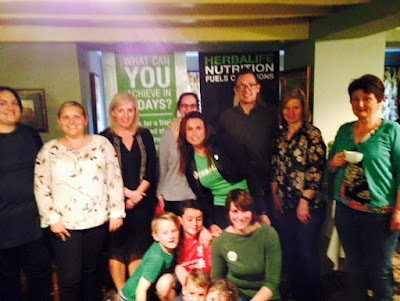 Tonight was Adam Harper's first Shake Party which was supported by Suzanne Hugill and Sonia Crawford. Teams working together is another essential strength and FUN!!! Awesome work tonight Adam, helping so many being their healthy active lifestyle! Training, Learning and getting better! Wedding Fayre and Ladies Day! YES! The numnahs are ready and at shows!!! !